What is Preschool Unit Lesson Plans? 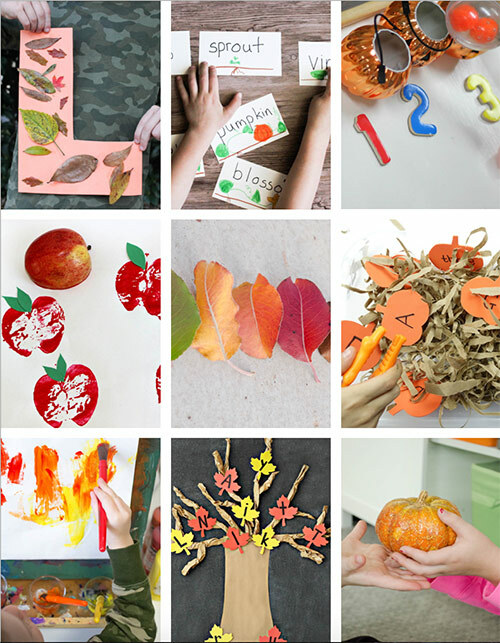 It’s themed lesson plans for preschool that focus on hands-on, multi-sensory, low-prep activities. Each of the 20 themes contains 20+ activities designed to help you reach all the skills for your preschoolers throughout the year. We’ve done the activity planning so you don’t have to! Designed by 12 experienced teachers and homeschoolers Preschool Unit Lesson Plans provides direction for adapting all the activities for different learners. Whether you need ideas to make an activity for a strong learner or a special learner, these preschool lesson plans cover it all! 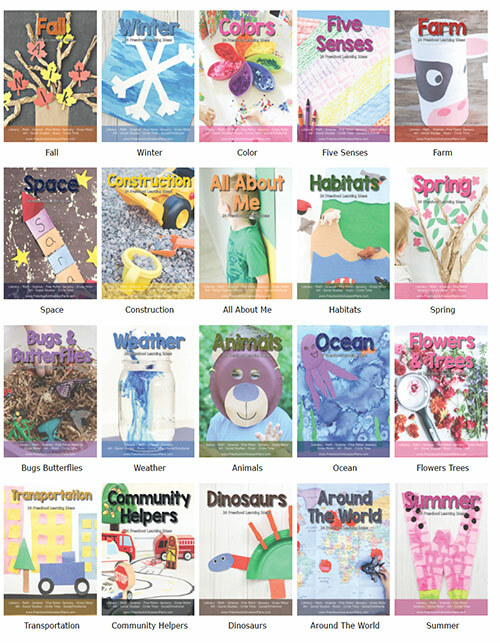 Every theme contains hands-on activities and engaging printables with book recommendations, so that you can easily pair your favorite books with activities. 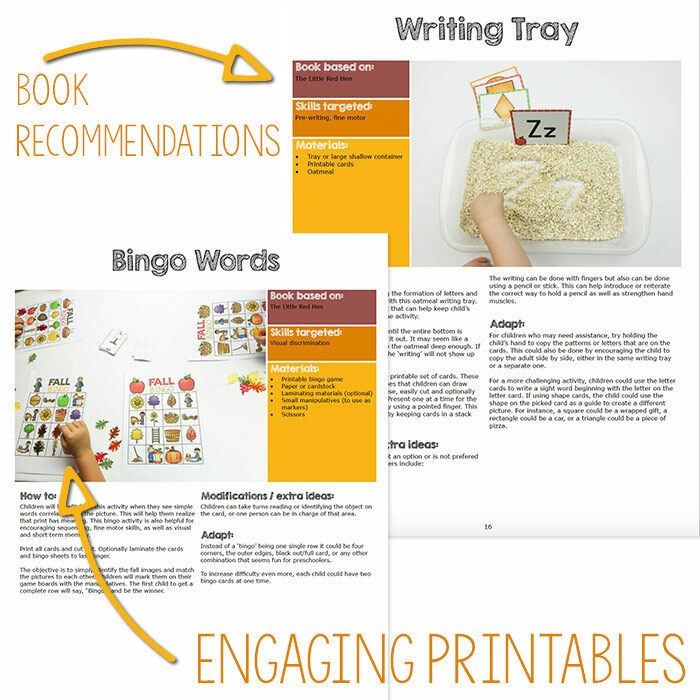 The included printables offer additional ways to work your learners! Easy to read instructions make planning easy. Every activities contains a supply list and ideas for adapting the activities for different learners. Take the guesswork out of planning! Every theme contains an introduction, recommending reading list and recommended songs to round out your theme. 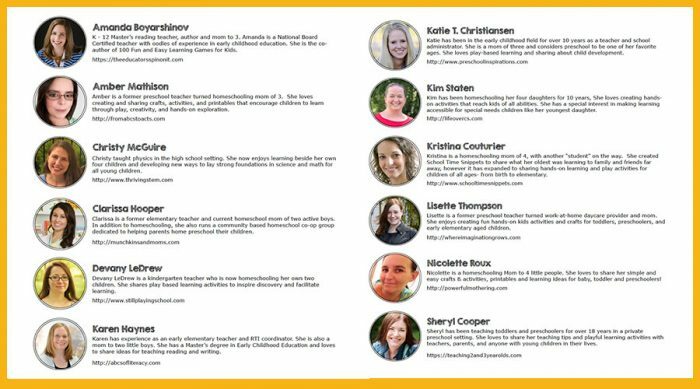 Never before has a team of experienced classroom teachers and homeschoolers come together to create Preschool Lesson plans that will fit into any situation. Whether you are a classroom teacher with years of experience, brand new in the classroom or teaching your own children at home, this is the perfect set of lesson plans for you! Built for strong learners, special needs kids and every child in between, these lesson plans are easily differentiated for every need. Don’t miss out on these one-of-a-kind, engaging lesson plans! Try one theme today or save time and money by getting lesson plans for the whole year with this amazing bundle! How do you implement this- Weekly? Monthly? The lesson plans are written as sets of themed activities rather than a day-by-day guide so the activities can fit into your schedule as needed. Each unit could be used for 1 to 3 weeks depending on how you use them and if you use the adaptations and extensions. Can it be used with different ages in a group setting, like 3 year olds and 5 year olds? Yes, you can definitely use these with children who are different ages. 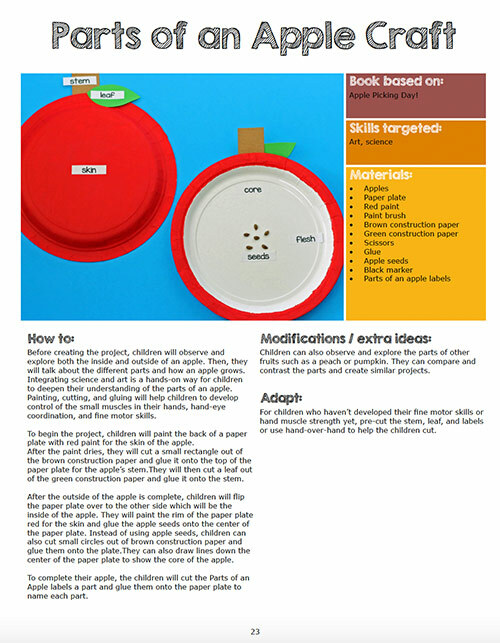 Each theme contains extensions and adaptations for children that are working at different levels in their preschool work. We have used these activities with multi-age groups, including a three year old, a four year old, and 2 five year olds at the same time. I can’t see anything in the "Look inside" feature on the site? Click here to download a larger look inside sample. Yes, we do! Please click on "Other Methods" and select "Purchase Order/Invoice".